It’s an election year, which means Americans are divided even more than they normally are. Some people like Hillary, some people like Bernie, some people like the four for $4 deal at Wendy’s, some people like the five for $4 deal at Burger King, and some people like ketchup on their hot dogs. No matter what issues we argue on, though, the one thing that all Americans can get behind is Tom Hanks. He’s not only effortlessly likable, he’s also a talented director, a powerful actor, and a well-organized producer. Really, the only annoying thing he’s ever done is father Chet Haze, but you can’t really blame him for that. A dad’s got to love his kids. Now, a deeply important and highly scientific study has determined that Hanks is officially America’s favorite movie star—a fact that only the staunchest Johnny Depp apologists would argue with anyway. This information comes from The Harris Poll (via Variety), and actually this is the fifth time that Hanks has nabbed the proverbial crown, having also won it in 2002, 2004, 2005, and 2013. 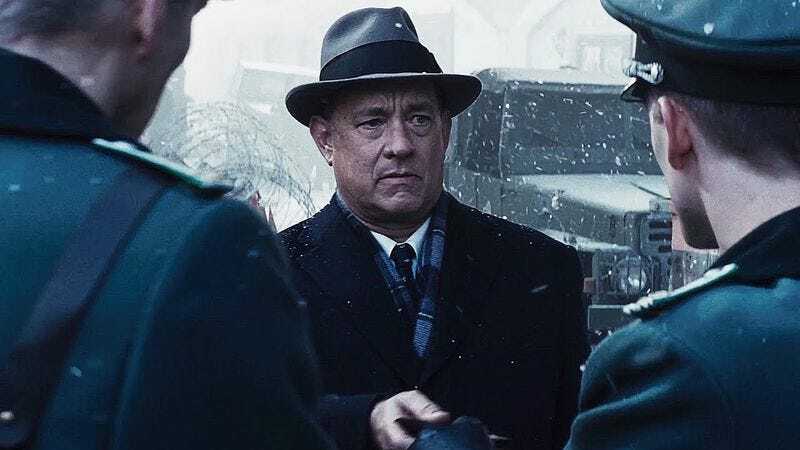 Apparently, people were really into Bridge of Spies. Somehow, Johnny Depp is America’s second-favorite actor, with Denzel Washington coming in third. After that, it becomes pretty clear that some of the voters were simply following party lines, because—despite the fact that he died a million years ago—John Wayne is inexplicably America’s fourth-favorite movie star, followed by Harrison Ford (who should at least be second or third, considering that he played Han freakin’ Solo) and then Sandra Bullock. Jennifer Lawrence is sitting at number seven, patiently waiting for all of the people who like John Wayne to die so she can take her rightful place closer to the top.